Professional photographer Matthew Jordan Smith has embarked on a nationwide quest—one that has challenged children from all walks of life and from every state to reflect upon their future and the future of their country. Smith accomplishes this feat by asking children a single question: What would you do if you were President of the United States of America? This question, along with the many answers and images it evokes, forms the heart of Smith’s newest book, Future American President. Drawing on the powerful medium of photography, Smith captures the responses to his question in vivid and compelling imagery, revealing the dreams and aspirations of our youngest generation. His project is an ambitious one, and aims at enlarging the boundaries of a child’s conception of self, allowing them to imagine a world without limits. 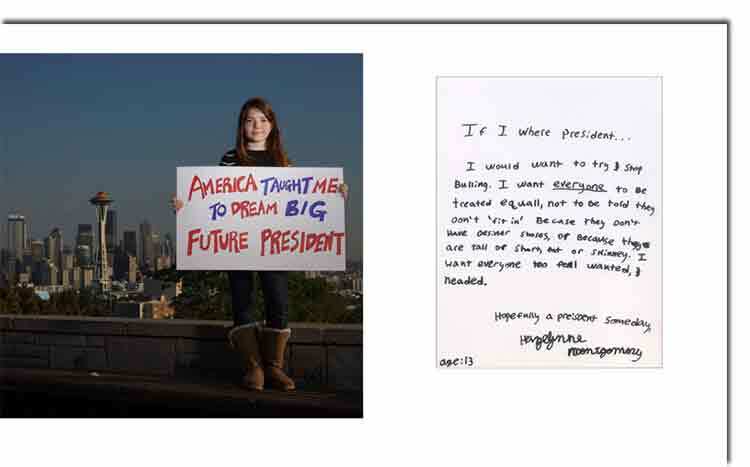 He hopes that by asking children to imagine themselves as president—and by photographing them as a future president—they will embrace a new vision of our nation and their role within it, empowering them to challenge limitations and spread positive change throughout. After traveling more than 14,000 miles, and speaking to children in every state, as well as launching a successful Kickstarter campaign to raise money for his book’s completion costs—an impressive $ 30,000 was raised— Future American President is now entering the final phases of production. 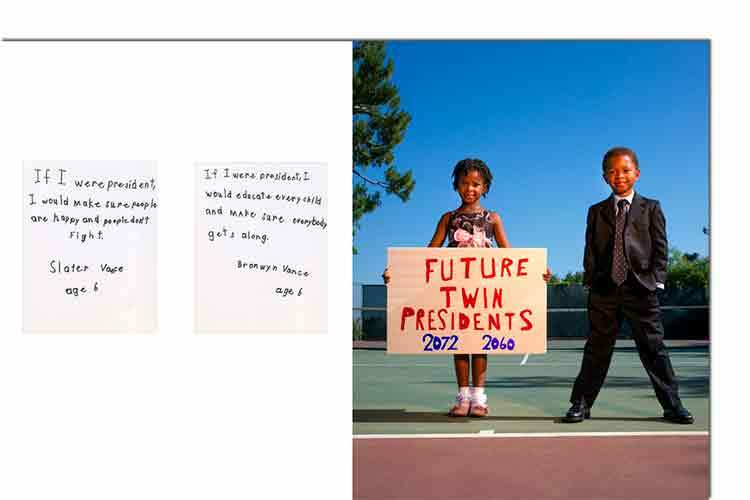 But now Smith has broadened his message beyond the scope of his initial project, affording the many children who were unable to appear in Smith’s book the chance to become Future American Presidents. 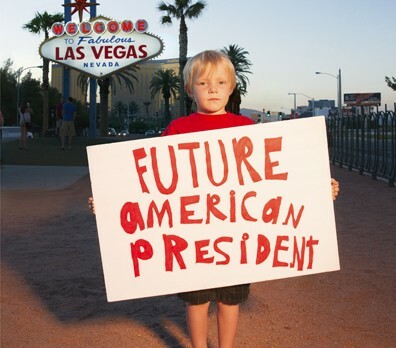 To this end, He has started a Facebook page which will showcase children from all around the country, sharing their dreams of one day becoming President of the United States. To become a part of this effort, parents are asked to have their child write his or her message for the country on a piece of poster-board, and to simply take a picture of the child holding their message. 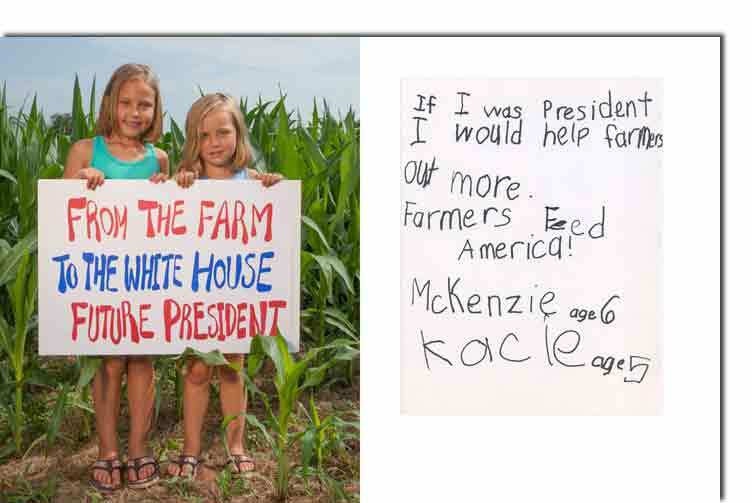 The pictures can then be uploaded to Future American President Facebook page. Smith intends to showcase one picture a day, eager to supply children a daily reminder of the power and potential that can live within a dream. Future American President is now available for pre-order on Amazon. It will contain an exclusive and inspirational quote from former President Jimmy Carter, offering “encouragement and advice for generations to come”. The book will also include a very special introduction by Disney’s Shake It Up star, Zendaya Coleman. Matthew Jordan Smith is one of the most sought out photographers in Hollywood, having worked with some of the biggest names in the entertainment business, he is also the author of two additional books: Sepia Dreams: A Celebration of Black Achievement Through Words and Images, and The Lost and Found.